For high-powered personal injury attorney Noah Byron, the good things in life come with a price tag—cars, houses, women. That’s why he represents only cases that come with the possibility of a nice cut of the action. But as a favor to his ex-wife, he meets with the mother of twelve-year-old Joel, a boy poisoned by tainted children’s medicine. While the official story is that a psycho tampered with bottles, the boy’s mother believes something much more sinister is at work…and the trail leads right back to the pharmaceutical company. As Noah digs deeper into the case, he quickly finds himself up against a powerful corporation that will protect itself at any cost. Faced with the most menacing of opponents and the most vulnerable of clients, Noah is determined to discover the truth and win justice for Joel—even if it means losing everything else. 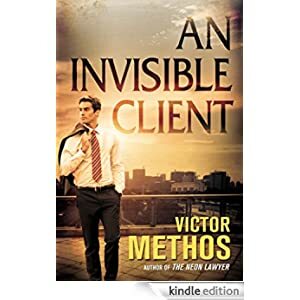 Buy this legal thriller for $1.99 today. Audiobook: $1.99.